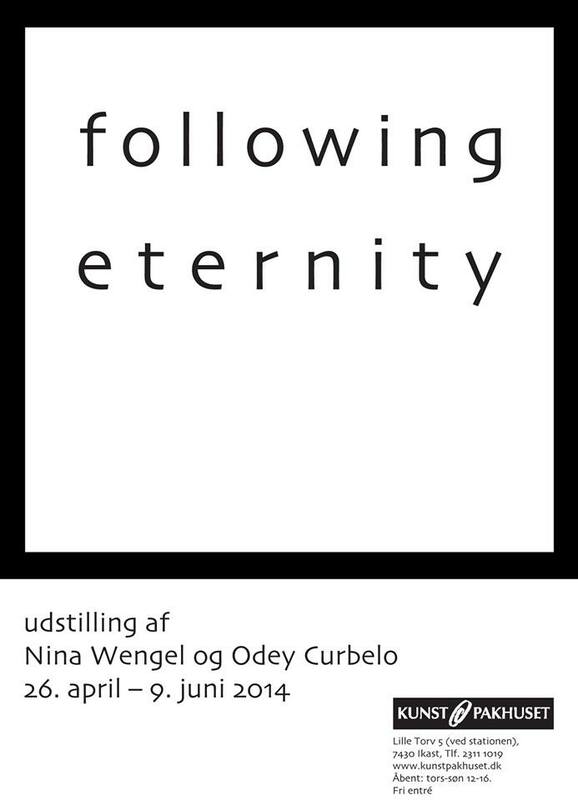 In the exhibition FOLLOWING ETERNITY new paintings on various materials by Nina Wengel and new series of pencil drawings by Odey Curbelo are presented. The artists have been in close dialogue on a joint exhibition concept that examines the idea of repetition and eternity within the artistic process. 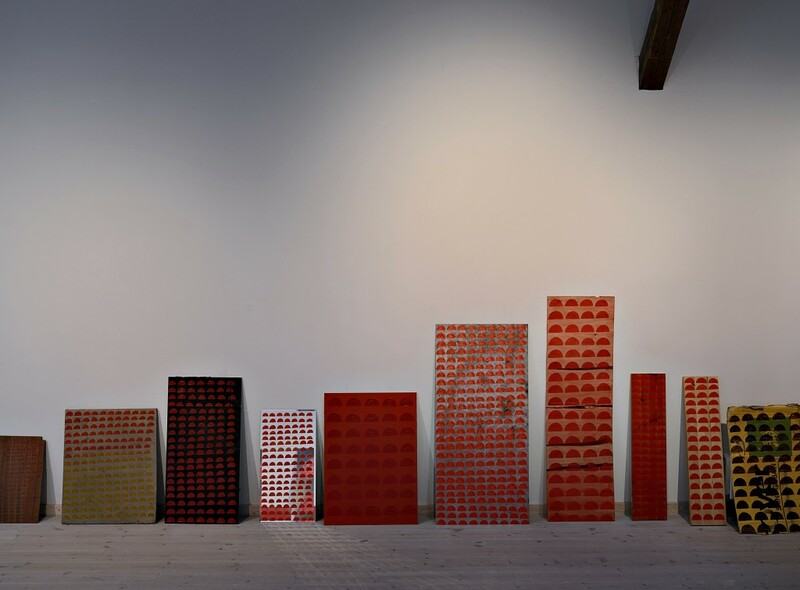 Nina Wengels paintings are in different sizes, but all have a repetitive pattern made of the same sunset motif. Different materials like wood, plastic and cardboard are used as a backdrop for the motives. 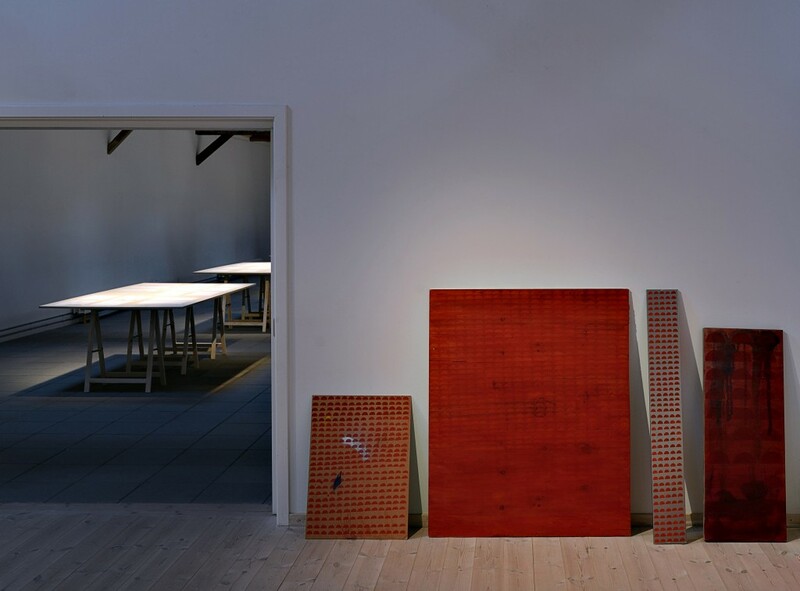 The works do not only reflect on experiments with materials and technical solutions, but also an artist’s dilemma on what is more important: the final result or the process. 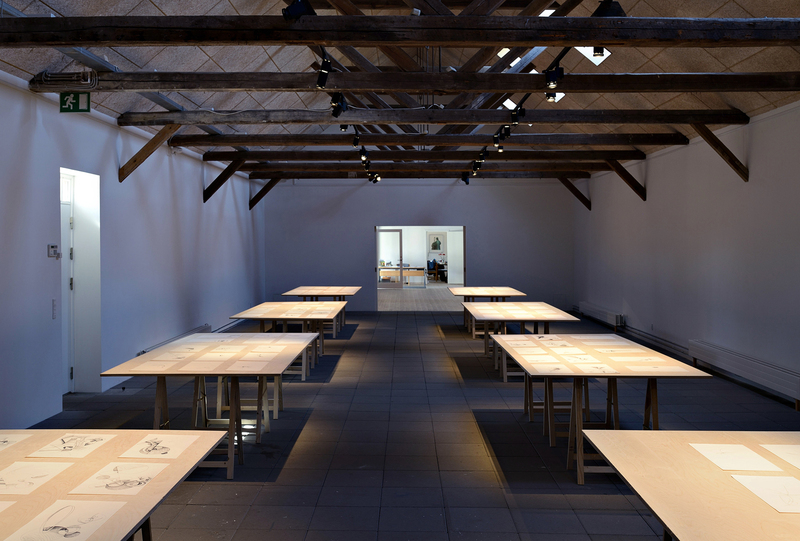 Odey Curbelos series of drawings reflects a diary-like record of the creative process. The visual expression is abstract and poetic, subtly relating to his interest in nature from previous work. 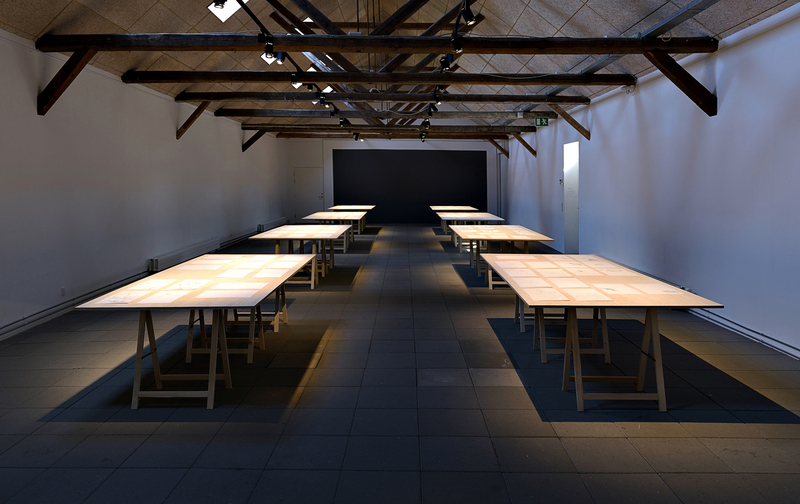 To emphasize the repetitive drawing process rather than the single drawing, the artworks are exhibited on eight large but simple working tables aligned symmetrically in the room. 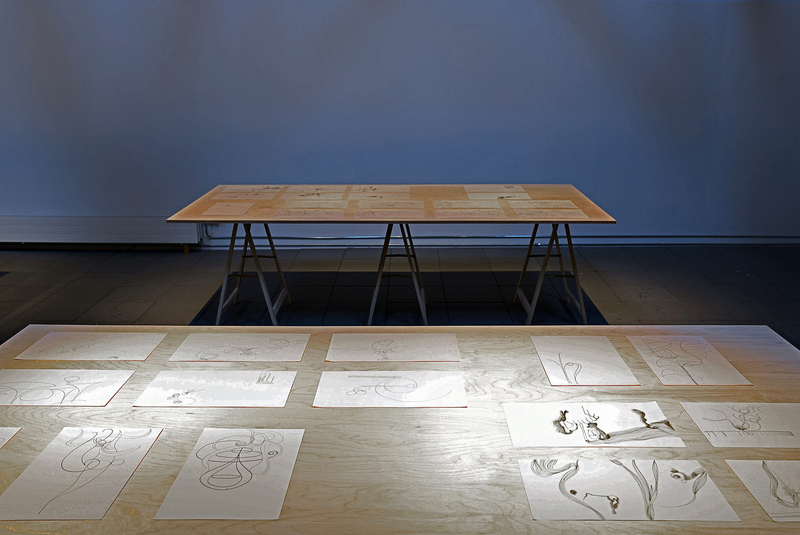 The exhibition FOLLOWING ETERNITY is a visual fragment of an on-going creative process. Both Odey Curbelos and Nina Wengels artistic productions are driven by a special kind of necessity to follow a repetitive rhythm that might continue into eternity. 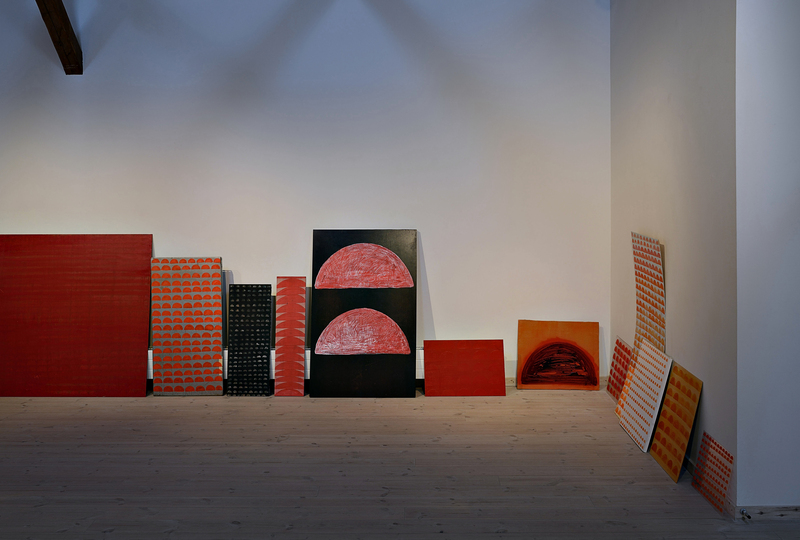 The exhibited artworks are all made in an almost meditative rhythm, based on an intuition. In contrast to this open, creative and organic process of registration, both artists are using rules for time and working method creating logical frameworks for the production. 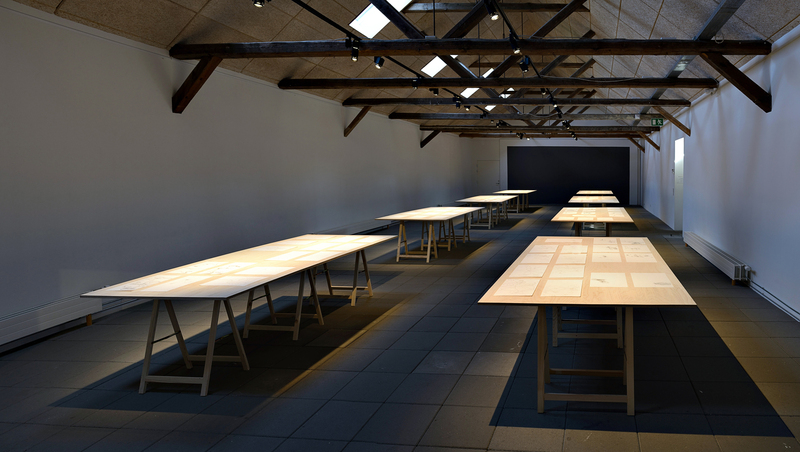 Instead of hanging, the paintings are presented as sculptural objects leaning against the wall and the drawings are put on display using tables instead of frames. 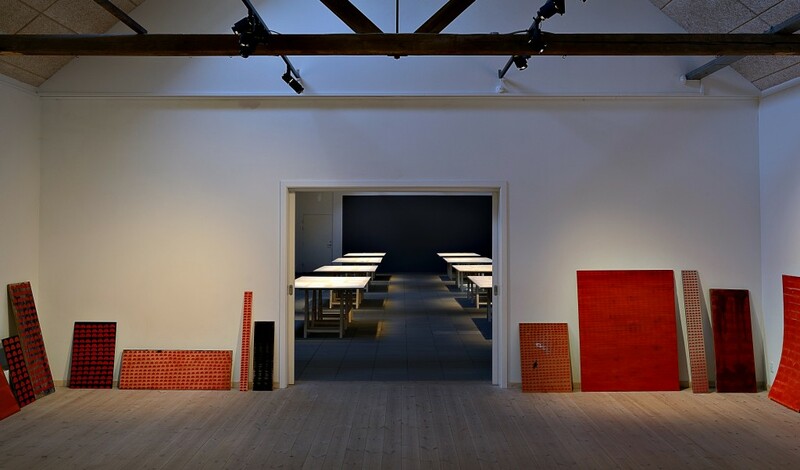 This way of installing breaks with the typical exhibition setup and instead it draws references to the way we experience the artworks in the studio. What happens to the value of the works when they leave the artist’s workspace to be exposed to a larger audience? When is the work actually born: when the artist has put the finishing touches to it, or when the public throws the first glance at it? The exhibition FOLLOWING ETERNITY opens with a reception on Saturday, April 26, at 1pm, The artists will be present. The exhibition’s curator Tijana Miskovic will open the exhibition.